It’s hard to believe we are already halfway to 2017. We’ve had an amazing year so far, and we are looking forward to new and exciting ventures this fall. Thank you for continuing to support us with your time, resources, and enthusiasm. Your generosity makes APBP possible. We have now mailed over 18,000 books! We celebrated this milestone with our new friends from James Madison University who came to visit in April for a service-learning weekend. These students tirelessly and enthusiastically packaged 125 books and matched many others. We are grateful for their help and are looking forward to future projects with JMU. In addition to opening letters and mailing books, APBP volunteers have been busy exploring ways to expand APBP’s reach. The women’s book club at Hazelton is thriving, and the group is endeavoring to produce an anthology of their own writing. Also, a new book club at the men’s prison is set to begin in July. We can’t wait to tell you all about the developments of these new projects in the coming months. We also have an exciting opportunity this fall to strengthen our relationship with on-campus departments and groups. WVU has selected Bryan Stevenson’s book Just Mercy as the 2016–2017 common reader for all incoming freshmen. Since the book’s theme dovetails with our work, we will be participating in the fall convocation and hosting a book wrapping party so new students can experience the letter matching and book packaging process for themselves. This is an excellent opportunity to get lots of books ready to be mailed and, more importantly, to introduce our project and our service-learning opportunities to incoming freshman. Thanks again for your hard work and generosity this year. Be sure to follow us on Facebook, Twitter, and Instagram to see the latest on our new projects! 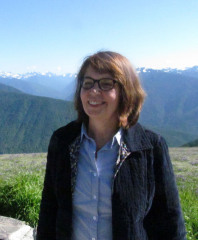 Long-time APBP executive board member, Elizabeth Juckett, is retiring from the WVU English Department and moving to North Carolina. We are going to miss her! Elizabeth has contributed to APBP in countless ways. She has been an active member of the board and provided unwavering support for imprisoned people's access to education and books. For over seven years, she handled APBP's high volume of emails and responded to inquiries with her characteristic charm and helpfulness. She helped to initiate and facilitate the Hazelton Women's Book Club. At every opportunity, Elizabeth introduced APBP's work to students and community members. She has been a tremendous ambassador and friend. Fortunately, Elizabeth is willing to remain on the board, so APBP will continue to benefit from her generosity and good counsel. Thank you, Elizabeth, and best wishes on your next adventure! 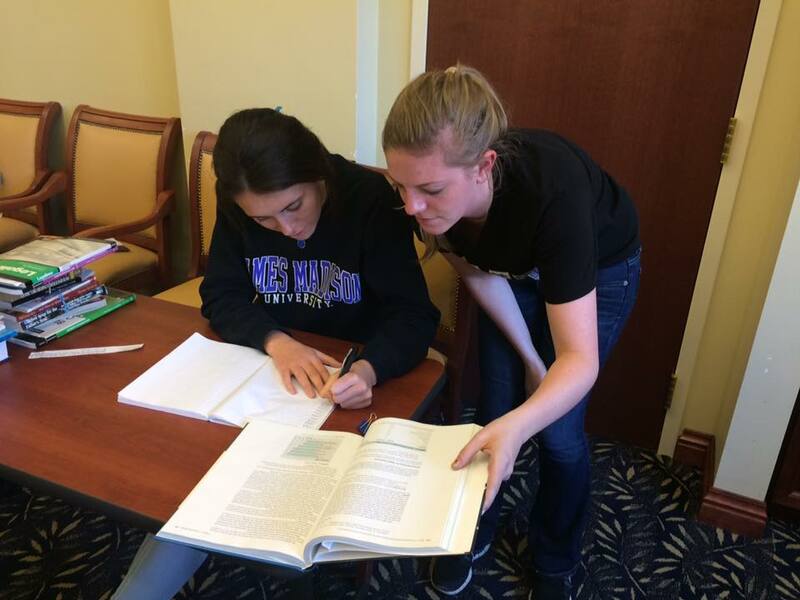 On April 1, the Appalachian Prison Book Project welcomed its first-ever non-WVU student group to Morgantown for a weekend of community service learning. The James Madison University students arrived on Friday night from Virginia and spent all day Saturday and Sunday morning with APBP members Katy Ryan, Yvonne Swartz, Michael Buso, Trey Wertz, and Angie Iafrate, participating in project operations at both our Spruce Street and Colson Hall locations. 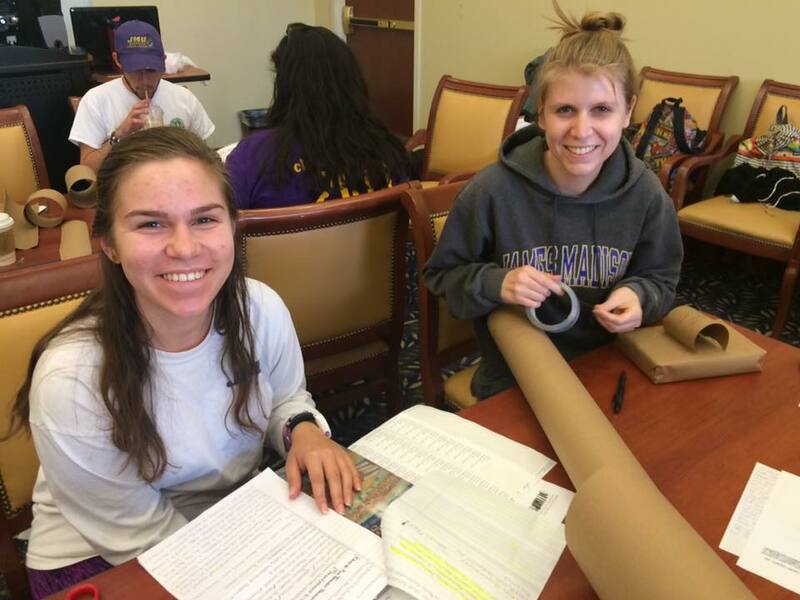 This included a book matching/packing training session, beginning the process of archiving old letters, engaging thoughtfully in discussions about mass incarceration, and more. While in Morgantown the students even packed up our 18,000th book! If you are interested in helping to plan or implement future service learning projects from outside schools/organizations, please contact Angie at a.t.iafrate@gmail.com. The APBP Women's Book Club continues to meet every other week inside the federal women's prison in Bruceton Mills. Right now there are ten women in the book club, along with APBP facilitators Cari Carpenter and Katy Ryan and several wonderful volunteers. This spring, the group read Zora Neale Hurston's Their Eyes Were Watching God, Octavia Butler's Parable of the Sower, Edwidge Danticat's The Farming of Bones, Harper Lee's To Kill a Mockingbird and Go Set a Watchman. "As one who craves thought-provoking dialogue, I got a heavy dose. in the midst of it, these women made me laugh, and on the inside, made me cry. Before today, I had only visited minimum-security prisons. While the barbed wire fences and security towers left me feeling small and cold, those women made a room inside light up with an unbelievably warm and radiant energy for 90 minutes. They made me light up inside too, and I cannot wait to go back." Alex Kessler: "I've read the statistics. I've seen the numbers. But when five inmates walk into a room and four of them are black, the oppression that history books boast is dead and gone becomes violently alive right in front of you. It is absolutely heartbreaking. Moreover, these felons were the most kind-hearted and intelligent group of people I've met in a very long time. I literally miss them as I write this. I truly believe that every citizen of these United States should be required to participate in a discussion with the people they so easily dismiss as unfit for society. "While contemporary racism was becoming more real than it ever has been to me, I only hope the inescapable walls that surrounded us were becoming a little less real to them as we read and discussed a beautiful and enduring poem. It's amazing that laughter can exist in an environment like that, but it does, and I hope those were the first of many laughs I'll have the privilege of sharing with those beautiful people. They are no longer numbers. They are no longer pages in a book. I now understand some things that I used to only know." Harlee Schimmel: "The book club was completely amazing. The women's insight into the literature was so enriching for me. Going to the book club seemed like such a simple thing to me at first, but then I realized just how important it really is. It is working to unite people from different places living under different circumstances. In my opinion, using literature is the best way to do that." The book club will continue to meet throughout the summer. APBP will be taking an active role in West Virginia University's 2016-17 Campus Read selection Just Mercy: A Story of Justice and Redemption by Bryan Stevenson, which will encourage the entire university community to learn about the moral implications of the American justice system. This year all students, faculty, staff and area residents are invited to read the book about Stevenson, an NYU law professor, and his work with those imprisoned on death row. He devoted years representing children, domestic abuse survivors, people of color and those with mental illness who had inadequate defense at the time of their trials. APBP will be involved in the Campus Read through a dictionary book drive. The organization will also be hosting a book wrapping party at the Eberly convocation. Learn more about the Campus Read at: http://undergraduate.wvu.edu/campus-read. "The Appalachian Prison Book Project has been a key resource in providing me, and prisoners like me, with quality educational materials. I first wrote the project many years back in an effort to verify resources for prisoners at Morgan County Correctional (Tennessee Department of Corrections). As editor of the institutional magazine Mountain Review (2005-15), I wanted to know the resources I published could be trusted and would respond to prisoners’ request. I was impressed, not only with the turnaround time, but with how well they matched me up with materials I could use. The most recent book they sent, The Elements of Editing, has been a big help in preparing me for work in the free world. They will continue to be listed as a valuable resource in upcoming issues of the Prisoner Resource Guide, for as long as they endure!" Since 2006, APBP has mailed more than 18,000 books to people imprisoned in six states. Men at the medium security prison at Hazelton heard about the APBP book club at the women's unit and are interested in starting their own reading group. In June, Katy Ryan and Elissa Momen attended a wonderful meeting with 11 men and discussed how the book club operates. The men, who completed an Inside-Out class, continue to meet as a counsel to discuss programming and re-entry. They are organized, motivated, dynamic, and very funny. The first meeting of the new book club will be July 20! This issue of Appalachian Prison Book Project News was produced by Katy Ryan, Diana Mazzella, Valerie Surrett and Lydia Welker. Copyright © 2016 Appalachian Prison Book Project, All rights reserved.